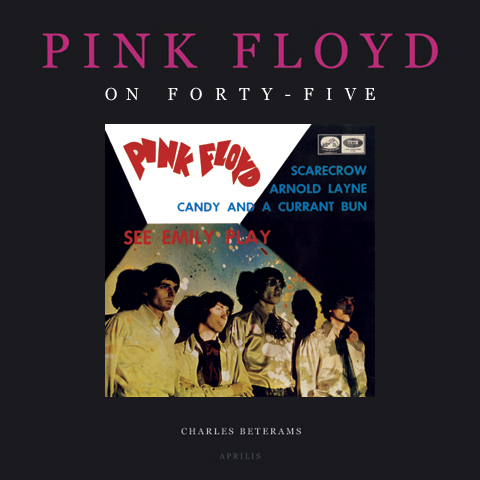 Just over 10 years ago, at the end of 2008, Charles Beterams published the excellent book "Pink Floyd On Forty-Five" which detailed all the then-known Pink Floyd 7inch singles in the world. Enlisting the help of other major PF singles collectors, such as BD's friend Hervé Denoyelle, this incredible book was the result of their relentless hard work, their research, and the many years some of them have spent in dusty record shops in far-flung corners of the globe. In the book are entries from some unexpected countries, as well as extensive discographies of 7inch singles from Australia, France, Germany, Italy, Japan, The Netherlands, United Kingdom, and the USA. The most visually interesting items tend to be concentrated in Japan and also around Northern Europe - Belgium, Denmark, The Netherlands, Germany and France, with the dramatically varied picture sleeves the different countries offered. The original book is full of high quality, well-printed images (well over 1,200 of them!) on glossy paper, showing two singles per page (including the single's cover, if appropriate, and both sides of the single/both labels). However... since then not only have we seen some interesting new releases such as the 1965: Their First Recordings double pack 7inch, but also quite a number of previously 'lost' or 'unknown' old, original releases have been discovered. All the new entries - nearing 75 so far - will be included in a second edition of this definite guide, to be published in due course.